• Youth Classes or individual sessions available for ages 7-17 years old. • Youths will be placed into age groups and certainly may be group with a friend/s upon request. • No prior horse experience required. • All classes are based on the ground with horses, no riding. 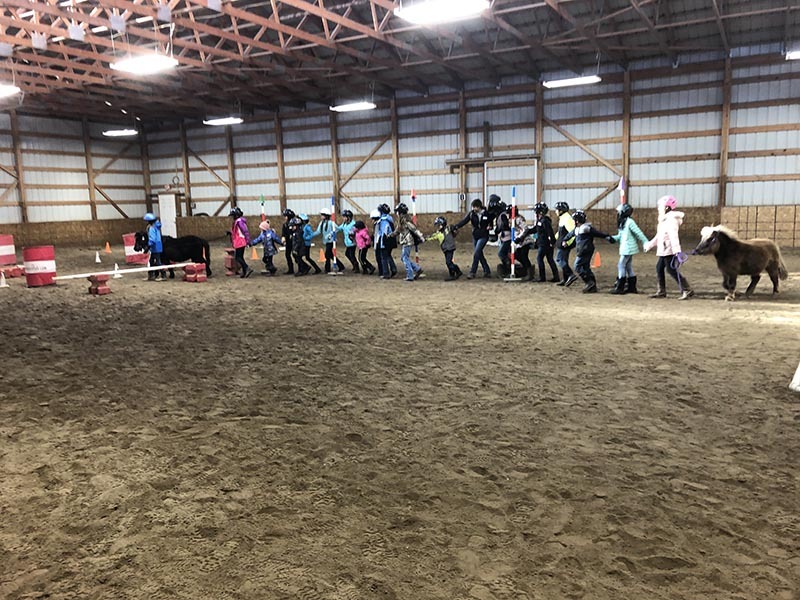 • Hands on activities with horses. 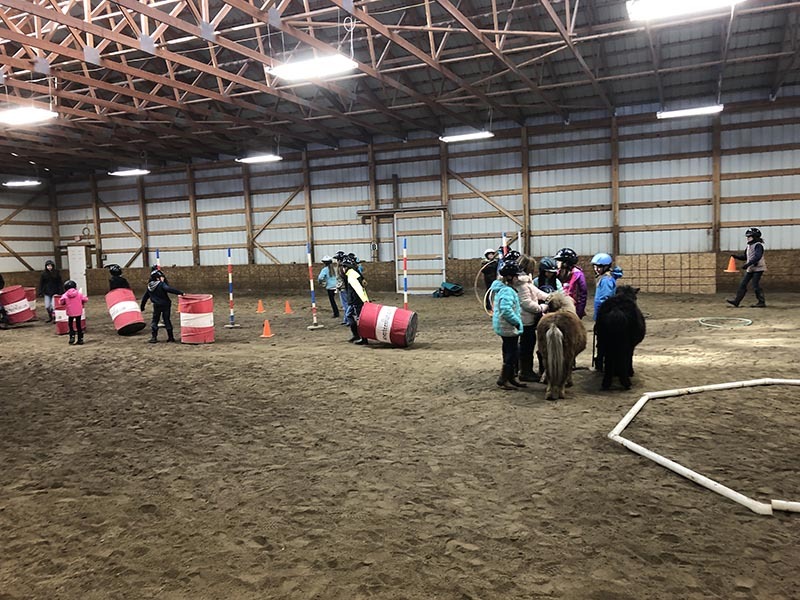 • Youth Horsemanship Life Skill Development Classes allow youth to develop and grow in a variety of areas related to real life situations that youth encounter on daily basis at school, home and in the community. • Available for individuals, families, community groups. • We have hosted several workshops for MSU classes, local 4H groups, Girls Scouts and sports teams. What life skills do youth improve by participating in these classes? This program will utilize the 'Power Tools for Living' curriculum written developed by Robert and Nancy Magnelli. Reviewing his cases as a psychologist over a 26-year period, Dr. Magnelli was able to categorize the cases as to presenting problems or issues, realizing that all of of the cases voiced some need of a particular group of emotional health constructs: Respect, Responsibility, Relationship skills, Boundaries, Empathy and Choices and Consequences. The Power Tools for Living provides a program addressing each one of these constructs which leads to improved emotional and behavioral health.The program has been conducted and researched with hundreds of children from schools and Boys and Girls Club, along with teachers and parents. • Accomplishing a task involving the horse builds confidence and provides for visible metaphors when dealing with other intimidating and challenging situations in life. • The horse human relationship dates back to 4000 B.C. • A horse’s large stature is intimidating yet empowering. • Horses are prey animals: Comfort in herds, connect together under stress. • Provide visible lessons in terms of nonverbal body language. Contact us now for more info about our workshops.